In a Nutshell: When it comes to cheap or free entertainment options, it’s often difficult finding something that appeals to every member of the family. Elokence, a 10-person French engineering firm, created its free Akinator the Web Genie game for web browsers, mobile devices, and smart speakers to please users of all ages. Players think of a character — real or fictional, living or dead —and answer a series of questions from the genie. The artificial intelligence program is able to correctly guess the identity of the character in mind between 75% and 85% of the time. The game is available in 16 languages and has a vast database of past and current celebrities and characters from around the world. I spent the early part of my working career as an elementary school teacher. During my first year in the classroom, I gave the class 30 minutes each Friday afternoon to play a game of their choice if every student turned their homework in all week. By my second year of teaching, I knew better than to make that deal again. While it encouraged every student to do their work, I spent most of the 30 minutes each week mediating arguments and wiping tears from the cheeks of students whose favorite game didn’t get voted on by the class. The next school year, I selected the game to be played, and although it didn’t always please everyone in the room, most still completed their work so they could participate. Settling on one option to entertain a group can be hard. The task is equally tough for a family that needs to keep both children and adults happy and do it on a budget. 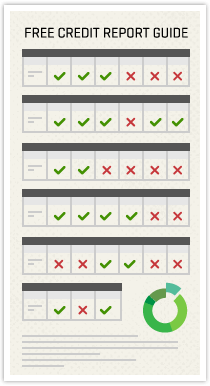 Many movies, television shows, and video games have very specific target audiences. Some may work for parents, but not kids. Others may delight the children, but put mom and dad to sleep in their seat. Engineering firm Elokence seems to have found a sweet spot with its free Akinator the Web Genie game for web browsers, mobile devices, and smart speakers. The game uses a set of questions, guided by artificial intelligence models, to predict the name or identity of the character a player has chosen. Characters can be real or fictitious, living or dead. As a fan of old movies, I chose my favorite actor, Humphrey Bogart. Twelve questions later, Akinator correctly guessed Bogie as my character. Assured that I could defeat the mighty genie, I went back further in time and thought of silent film actor Buster Keaton — that only took Akinator eight questions to figure out. What may be most impressive about Akinator’s abilities is they are built and maintained by a team of only 10 programmers in northern France. The game is available in 16 languages and features popular celebrities and characters from around the globe. The game is free to play, including the app version available for Android and iOS devices, and is surprisingly addictive. Even as I type this, half of the people in my office are attempting to stump the Akinator. A family looking for a free way to stay entertained will find the Akinator’s lineup of characters familiar to children and parents alike. Akinator’s large database of characters covers the varying interests of the game’s global fanbase. Soreau said the ever-growing data programmed into the Akinator helps it correctly guess a players’ character in 75% to 85% of the games played each day. But even when Akinator is wrong, it learns from its mistakes. When the genie is stumped, the player can submit the character he or she was thinking of for addition to the database. That sort of feedback helps the small Elokence team keep up with the latest trends in popular celebrities and fictional characters. But more often than not, players finish a game amazed at how quickly Akinator can narrow down a character in just a few questions. Akinator’s popularity grew from its browser-based website and expanded to mobile device applications available through the Apple App Store, Google Play, and the Amazon AppStore. As demand for the game on other platforms increased, Elokence vowed to meet its customers everywhere they were. 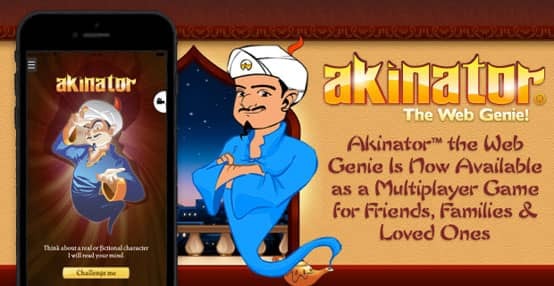 Akinator and Co. is a variation of the game for Apple TV that allows for single or multiplayer options played on any television connected to the Apple device. The game costs $2.99 to download and play an unlimited number of times. Jérôme Soreau is CMO at Elokence. Multiplayer versions pit players against each other to try and guess the characters they’ve chosen. Akinator asks questions and players try to guess the character’s name based on the answers their opponents provide. A wrong guess eliminates a player from the round. If a player guesses the character, he or she wins the round. If no one is able to guess, the player thinking of the character wins. The game is currently available for free on popular smart speakers including Google Assistant and Amazon Echo, making for a modern version of the old parlor game Twenty Questions. Soreau said the Elokence team plans further expansion into newer voice assistant devices like the Apple HomePod. Elokence also offers a free app version of Akinator Safari, in which the genie attempts to guess which animal a player is thinking of. This game is not only fun for the family but helps youngsters learn about different animals in a gamified way. Guess Who’s Saving Money on Their Entertainment Budget? No matter what size family you have — one child or a whole classroom full — keeping everyone happy when it comes to choosing the entertainment can be a difficult task. Adding a tight budget to the mix makes it even harder to find something fun to do that will make everyone happy. While Akinator may not have the answer to all of your family entertainment issues, the program certainly knows a lot about history and popular culture. Whether you have a young child who loves Doc McStuffins, or an old soul who is into century-old silent films, odds are that Akinator can read their mind and guess their character. Perhaps the most entertaining part of the game, as is evident in the office I’m currently in, is trying to come up with a character obscure enough to stump Akinator. The task is harder than it seems; I’ve been trying for a while. The game is available on a variety of platforms, including Apple TV and multiple voice assistant-enabled devices, to expand the way you play. I only wish that Akinator had existed when I was an elementary school teacher. I would have saved money on tissues and wiped far fewer tears when it came time for the class to choose a game it wanted to play.